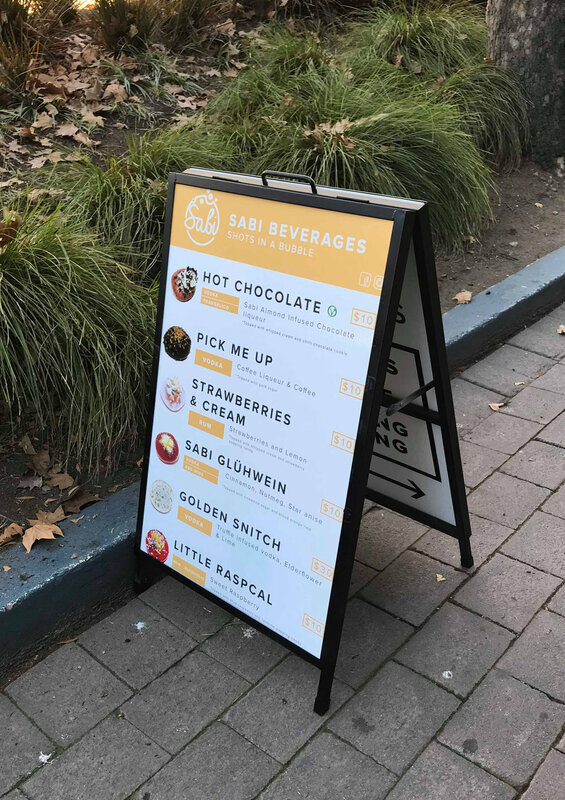 Also known as a sandwich board, these signs are great as they can direct customers to your business and can promote your products in front of your shop. We provide 2 different types of A-frames, metal and corflute. Our team can install signage and artwork on all cars, vans and trucks. If you aren't sure of what you’re after, send us an email and one of our qualified designers can create a mockup for you. We can also detail your car windows by applying vinyl cut outs or supply a full printed sheet with one way vision. We pride ourselves on offering the best quality, clean finish, vinyl signage on shopfronts. With university qualified and industry experienced graphic designers in house, we are able to help you with creating visually appealing signage for your business. Our pop-up media walls are great for events and functions as it can be re-used year after year. This light weight product can fit into any car and comes in a convenient carry bag, making it easy to transport. With simple setup features, it takes less than 5 minutes to install and even less time to take down. We have supplied Canberra businesses and special events such as weddings and formals with media walls for a number of years now. If you would like to order a media wall, send us an email and a team member will help you set up and size your logo or artwork to the appropriate dimensions. 3D lettering is a great way to create depth to your signage and our team can laser cut all shapes and sizes. With experience in 3D lettering installation, we can install your signage on a number of different settings which include: concrete, brick and plaster. For most 3D signs, we choose to use acrylic due to its lightweight properties. Have you got a digital image or design you want to stick on a wall? With a sticky adhesive backing, our large format, polyester vinyl wallpapers can easily be applied without glue and removed without leaving any residue. This option is a great way to display a feature wall or to simply decorate your room or office.